With the Red Sox all but assured a playoff spot and maybe a division title with a 7.5 game lead over Tampa Bay, it's time to start wondering "What will the starting rotation look like?" Top to bottom, here's who I think they'll put out in the playoffs. Jon Lester - Lester will no doubt be the 1st or 2nd starter (probably the first), and it's hard to argue with the way he's been pitching since the All Star break. He's 5-5 in his last 10 starts, and over that time, his ERA dropped from 4.50 to 3.86, according to ESPN. According to ESPN, the only time he went below 6 innings was when he went 4 1/3 innings against Arizona and gave up 6 runs. 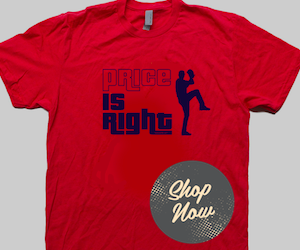 Did I mention he out dueled the frontrunner for the AL Cy Young award, Max Scherzer last week? Yep, that happened. And it earned him Amica pitcher of the week honors. 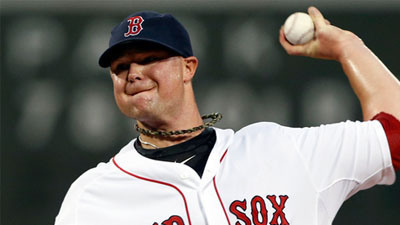 Jon Lester has locked himself into a postseason rotation spot. Probably the number 1 or 2 spot, but more likely the 1 spot. Clay Bucholz - Bucholz returns to the rotation tonight against the Rays for the first time since June, but before that, he was going win for win with Max Scherzer, and was shaping up to be a Cy Young candidate. He's the big question mark, but I think by waiting to reutrn until he was 100%, he did the Red Sox a huge favor. I think he'll slot into the #1 or #2 slot, whichever Lester doesn't take. John Lackey - Lackey probably has had the worst luck of anyone on the staff. He's had a lot of quality starts that have resulted in losses because of no run support. That has probably been the most frustrating watch this season to me, to see him pitch well game after game and come up with a loss. Lackey will take the number 3 spot, but he'll need RUN SUPPORT in the postseason. Jake Peavy - Jake Peavy has been great for us since coming over from the White Sox, and I think that will continue for the rest of the season, thus earning him the #4 spot in the playoff rotation. He's had his struggles in the postseason (12.10 in 2 previous starts in 2005 and 2006 according to ESPN), but I think that will change come October 2013. Why? He's in a new system, and a better system. Ryan Dempster- It was a toss up between Felix Doubront and Ryan Dempster, but I ultimately decided to slot Dempster in that #5 spot because of Doubront's recent struggles. Doubront had a run between June and August where he had 2.02 ERA over 9 starts according to Sports Illustrated, but he has struggled as of late, especially his last start against the Yankees. Not that Dempster has lit up opposing hitters as of late, but RIGHT NOW, Dempster is a better choice than Doubront. 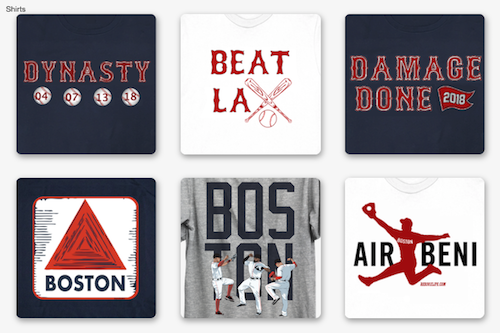 Keep in mind - this is not set in stone and there is still three weeks to the end of the regular season, and since the Red Sox look likely to win the division, they'll have extra time to think about this. Thoughts? Leave a comment or tweer me @ConorJF1016.